Moorlands is a family run private caravan park situated near the little village of Llangybi (Llan-gib-e) in the heart of Wales amidst glorious countryside, yet only 15 miles from Cardigan Bay. Moorlands Caravan Park offers the following facilities. 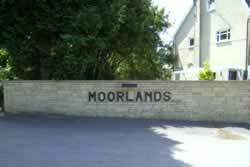 Have you been to Moorlands Caravan Park? Please submit your review so that others can benefit from your experience. Important note: Information provided here about Moorlands Caravan Park is intented as a guide. Always check when you book.